I distinctly remember my mum using dettol when I was a child, a strong bleach smell always followed it's use. I am not entirely sure if it was the dettol or my mum also using bleach after. Neither scenario filled me with confidence. I would watch the advert for dettol telling the TV and anyone who would listen that there was bleach in it! Why would anyone use it on children's belongings? 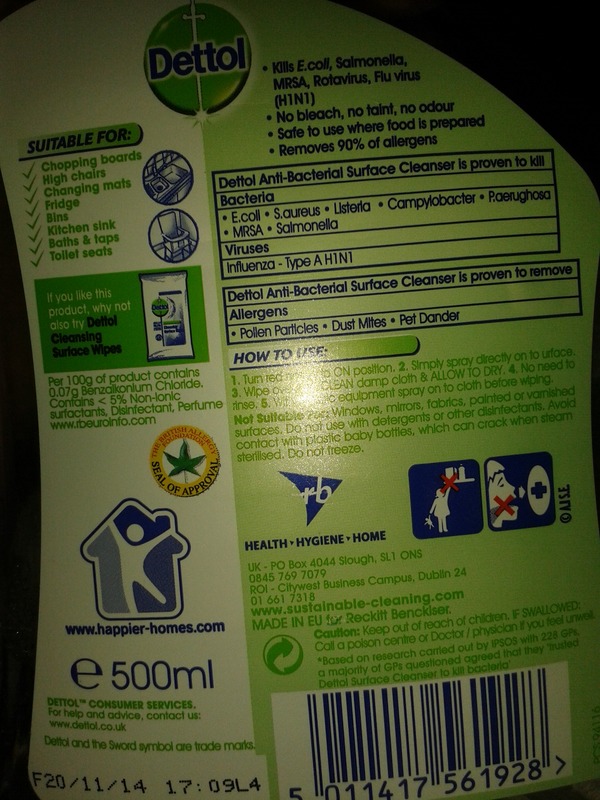 When the Dettol surface cleaner and E45 hand wash arrived I was very apprehensive about using the surface spray. I wasn't quite prepared for there to be no smell at all! It does say on the bottle there is no smell and no bleach but I didn't really believe that could be true. I was very reserved about using the surface spray the first time. I sprayed a few sprays on the counter and couldn't believe that the only thing I could smell was clean air! No smell of food, bleach or artificial fragrances. I must say I was very pleasantly surprised and even more so when I had finished cleaning the counter with 2-3 sprays instead of completely cleaning the counters more than twice! We definitely put the surface spray through it's paces and tested how effective it is with spilt baking ingredients and mixtures while we prepared for D's birthday! It just picked everything up from the counter. Where baking with D would usually call for a good deal of kitchen paper and elbow grease we had cleared away everything in a few minutes! I was still worried about using the surface spray to clean D's highchair. The tray contains hundreds of tiny bumps which seem to be there for the sole purpose of catching dirt and keeping it there! With one spray I was able to clean the tray with no residue or everything sticking to those bumps. 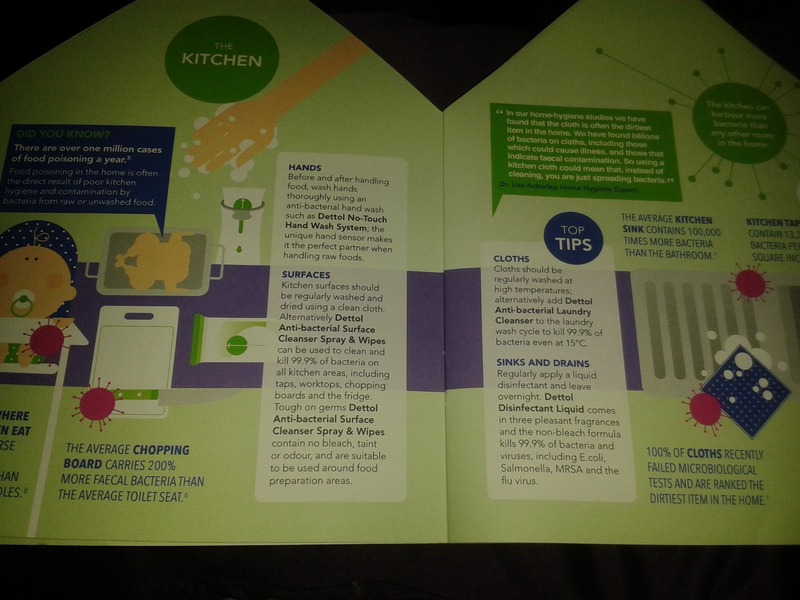 I would definitely say every household needs a bottle of Dettol anti-bacterial surface spray, especially if you have children! We will definitely be getting this from now on. 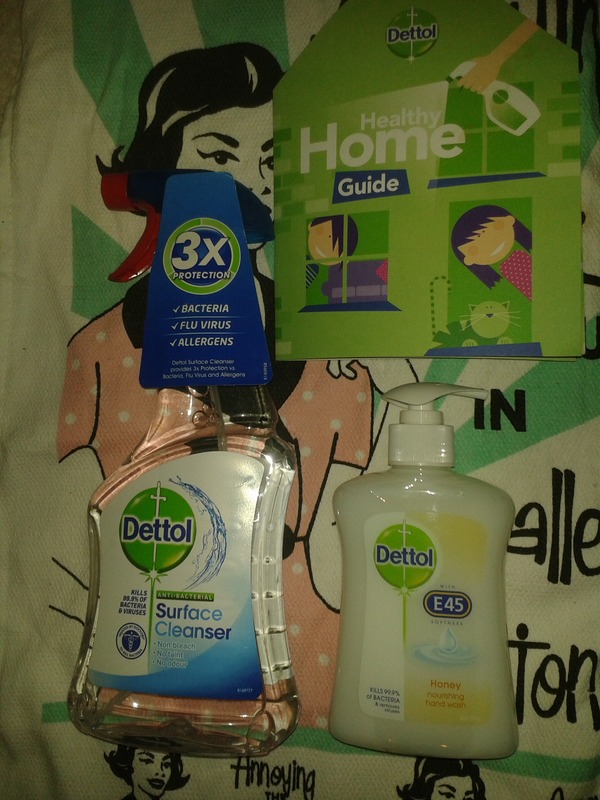 We also received Dettol hand wash with E45 softness. Which my sister said we where very posh to have hand wash with E45? I am not sure why she said this but it did make me laugh. (We have had moisturising hand wash before. She must not have visited during those times! ) we started using the hand wash immediately and certainly noticed a difference. It smells define! A mixture of E45 cream and soap and glory moisturiser. (A favourite of mine!) I noticed that my hands still felt soft at the end of the day eliminating the use of hand cream. Northern Ireland is notorious for our temperamental weather, my granny always says 'it's the only place you can all 4 season's in one day!' With that we tend to experience dry skin especially on our hands. The hand wash did stop our hands from drying out without any other products! 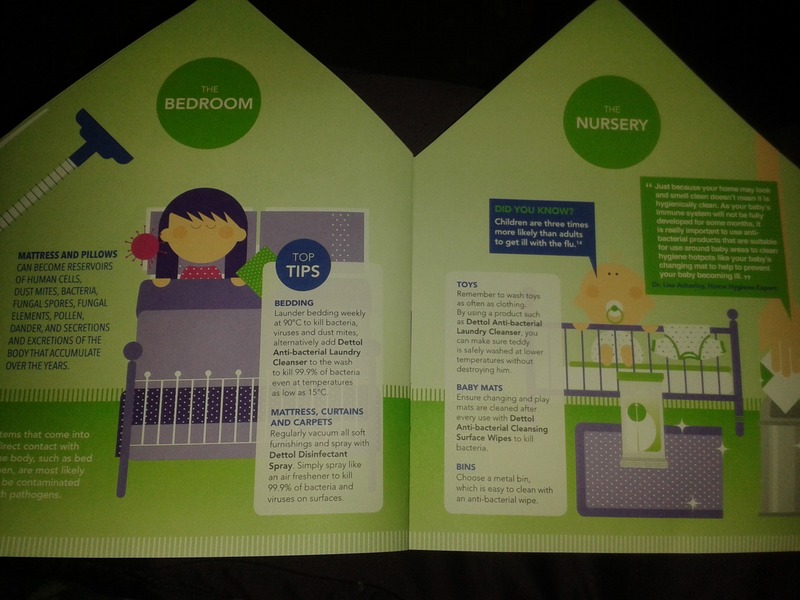 We also received a little booklet with some bacterial facts. 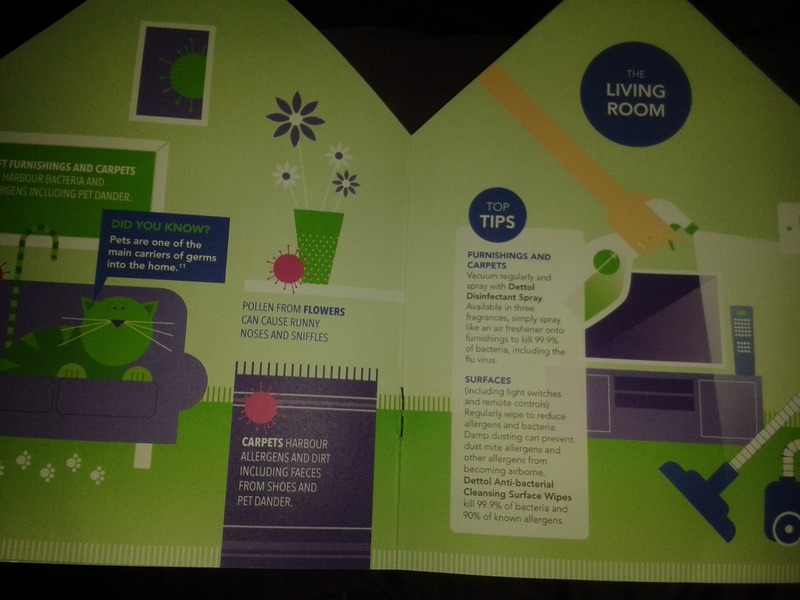 Upon reading the booklet I was horrified and went on a rather large cleaning frenzy! 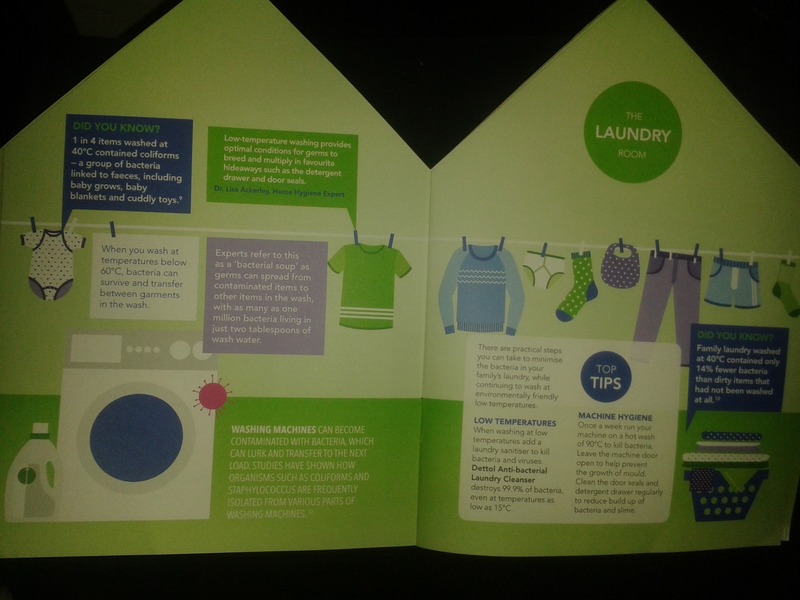 "Areas where children eat have worse levels of bacteria than toilet handles"
"When you wash at temperatures below 60°C , bacteria can survive and transfer between garments in the wash"
" Bath plug hole contains 119,468 bacteria per square inch." 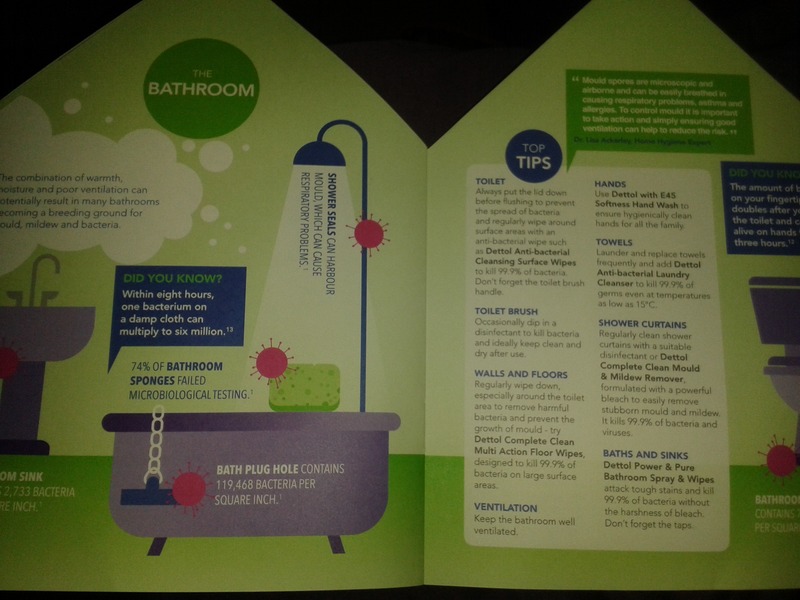 Each page contains tips on how to reduce and prevent bacteria growth.